Homemade Peanut Butter is simple to make using just unsalted peanuts, honey, peanut oil and a pinch of salt. You can’t beat homemade. Everything tastes better homemade, am I right? 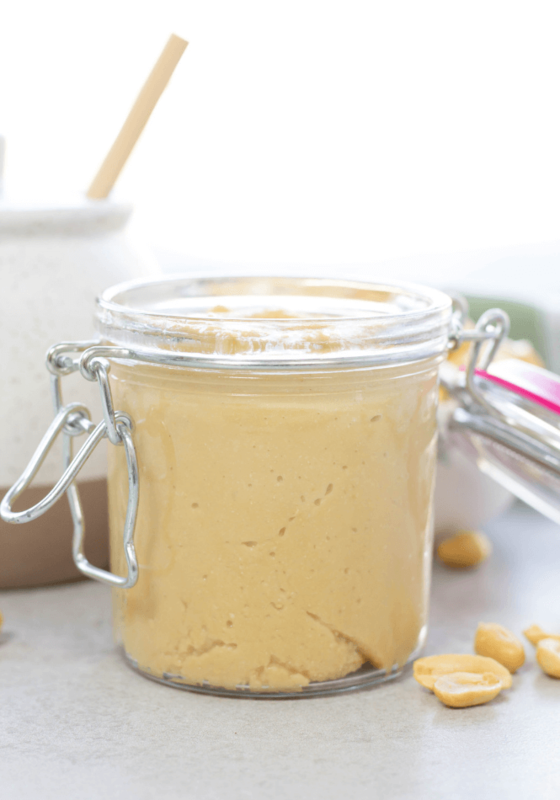 Homemade Peanut Butter is no exception and having control over the ingredients you put into your body and having complete control of flavor is huge! 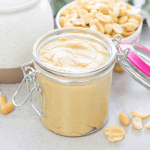 Store bought peanut butter can contain unnecessary ingredients or artificial ingredients and you don’t know where the ingredients are coming from. 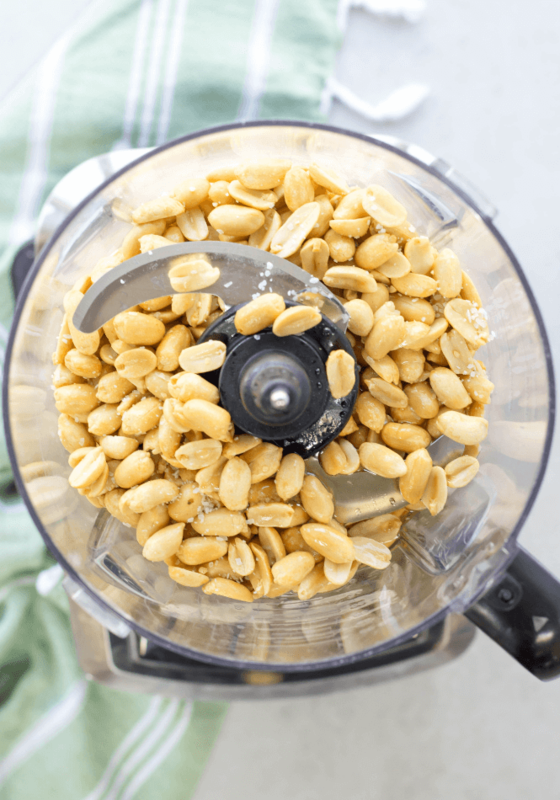 Making your peanut butter allows you to buy local or on sale peanuts and local honey. Local honey may great benefits such as building your immunity for seasonal allergies. Win, win. 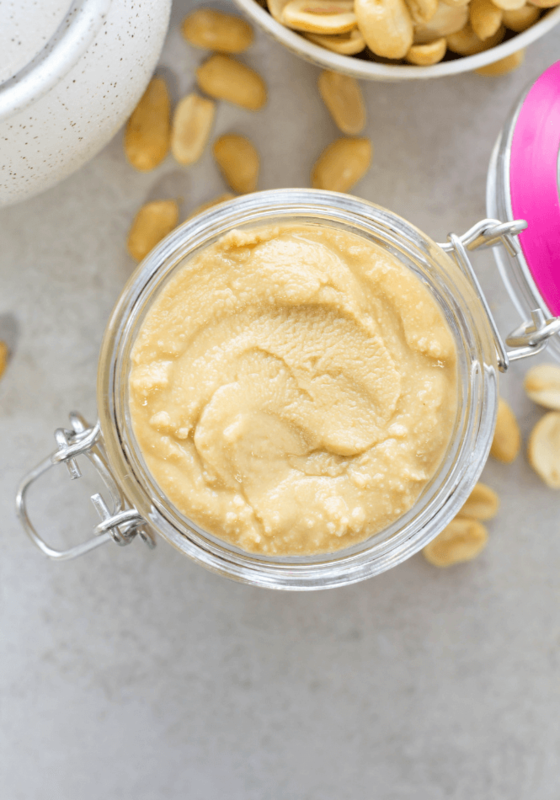 Homemade Peanut Butter is delicious and can be used for sandwiches, for a snack on celery (my fave) and apple slices or as an ingredient in various dishes. 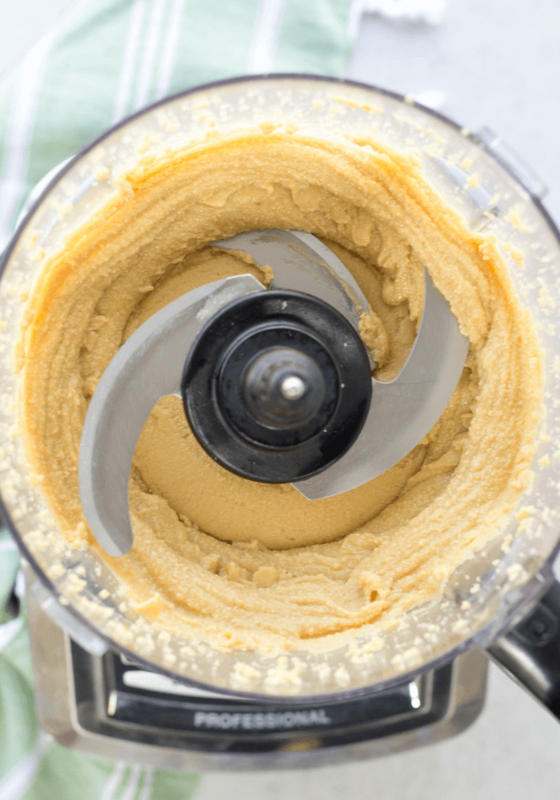 All you need is 4 ingredients and a food processor! I like to use peanut oil because of the flavor and it has a long shelf life. You can choose a healthier oil such as canola, safflower or sunflower. 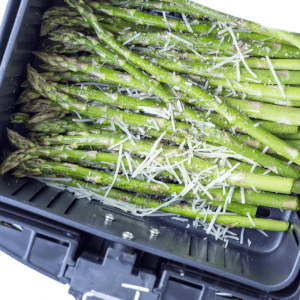 Gather ingredients, food processor, and storage container. Put all ingredients into food processor. Add salt to taste. Blend for 3 minutes. Give a good stir and blend another 3 minutes or until the consistency you like. Pour into a storage container and set in fridge. 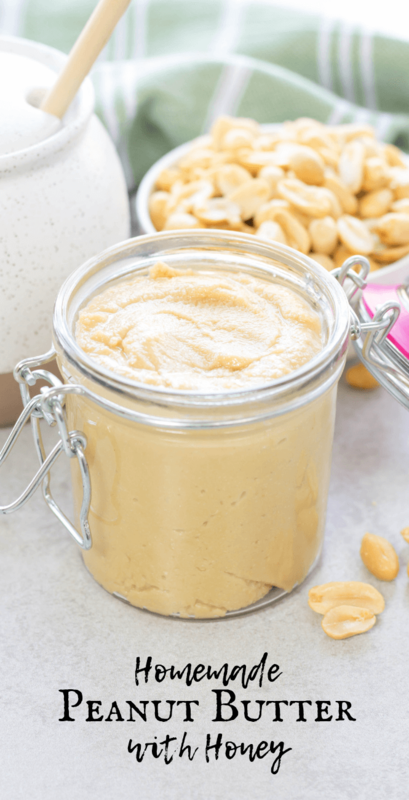 Enjoy your homemade peanut butter on sandwiches, as a dip, treat or whatever you can think of! Store in the refrigerator for up to 6 months. 30-60 minutes, remove from refrigerator to serve to soften. My boyfriend is obsessed with peanut butter so I’m going to have to give this a try!